A cause of action for negligent security requires a person to be harmed by criminal activity such as Sexual Battery, Assault, and Robbery at a commercial or residential property. An example of this type of property would be apartment buildings, office buildings, hotels, motels, schools, malls, gas stations, and parking garages. Any such place must make reasonable measures to keep people safe, and to keep their premises safe. For instance, hotel would need to have adequate security and lighting based on their location. If a Hotel was built in a neighborhood were there was a high crime rate then it would be foreseeable that persons staying at the hotel could be endangered if there was not adequate security to keep them safe. 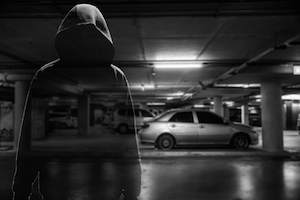 If the property owners fail to provide the necessary security for their location then they may be liable if a guest, employee, or customers are harmed due to the actions of a criminal assailant. To establish a successful claim for negligent security an investigation is usually required wherein employees, guests, and customers are interviewed. It is also important to review crime statistics in that area to determine the crime rate and what the standard of security should have been at the time of the incident. Additionally, it is important to determine whether there have been past victims at the same location. If you have been attacked at one of these types of location and suffered a serious injury then contact our negligent security lawyers to determine whether you have recourse against the property for failing to maintain a standard level of security.